I’ve decided to take on another huge challenge with today’s Imaginary Compilation as it features one of my all-time favourite bands whose recordings go back more than 20 years and encompass nine studio albums, six official live albums, four film soundtracks, a double CD of BBC sessions and almost 30 singles/EPs, most of which contain music only released in that format. Welcome to the wonderful world of Tindersticks. The band’s career and output can be broken up into three distinct periods. The first takes in the material from when they first appeared on the scene in 1993 through to the end of 1997 during which there had been three albums (two of them doubles) and 15 singles/EPs the majority of which had been recorded for UK specialist indie label This Way Up. These recordings were expansive and very rich in nature utilising a wide range of instruments and relying on complex and often fascinating and unexpected arrangements. The second period covers 1999 -2005 in which three albums would be released featuring music that, while still lush in nature, was increasingly influenced by elements of soul and jazz. On record, these songs didn’t quite grab your attention as much as the early material but they really came alive in the live setting and along with Nick Cave & The Bad Seeds, with whom in many ways there are comparisons, they were the most fascinating and powerful live band of that era and it’s no surprise that the official bootlegs released from that particular period are among the best things the band have ever put out on the marketplace. There was a three-year sabbatical and by the time they returned in 2008 it was with a much-changed line-up which, in my opinion, has suffered from the loss of key musicians and contributors. They might still carry the name Tindersticks but it just isn’t the same. All of this preamble has a purpose in that I feelvery strongly that to do any real justice to Tindersticks compilations there would need to be three volumes. But for now I’ll go for Volume 1 covering that initial burst of activity and reserve the right to come back with more later on. One final bit of explanation. Tindersticks emerged at a time when I was fully embracing CDs and while they did put their albums out on vinyl I’ve always felt their releases were written and recorded to max out the 70-odd minutes available on a standard CD. So that’s what this compilation is going to do. But it’s strictly a one-off. As if it wasn’t audacious enough to announce yourselves to the world with a double album debut, the band decided that the follow-up should follow the same format – even to the extent that, like its predecessor, it would simply be entitled ‘Tindersticks’. Most fans and critics add the II at the end to differentiate. The opening track was a bit of a curveball as, by not employing the vocal delivery of Stewart Staples they forewent one of their most distinguished and distinctive parts of their sound. Instead it was the talents of multi-instrumentalist Dickon Hinchcliffe which delivered this creepy lyric over a tune that begins in an eerily quiet fashion and builds up in a way in which the strings, keys, guitars, drums and horns all join in on what might appear to be a freeform style but in fact is a fantastically arranged piece of music. It set the tone for what I feel was the band’s best and most enduring album. But the version they recorded for Mark Radcliffe – who incidentally was the DJ who more than anyone else brought them to the attention of a wider public in the UK – and which was aired just a month before the LP was released is even more powerful and captures the band at their best with Staples and Hinchcliffe sharing vocal duties and additional musicians on trumpet, french horn and vibraphone addding to the magnificent cacophony. This is the second track on Tindersticks II and as such I’m always waiting for it to come on straight on the back of El Diablo; it feels such a natural and perfect fit that it has to slot in at this point in the compilation . Lyrically, this packs one heck of a punch as our selfish protagonist knows what he’s about to do is so wrong and cannot ever be justified, but while he has a guilt complex it’s not enough to lead him to apologise. The tune hits the listener just as hard. A song of two halves, the first involving an acoustic guitar being played in the style of a classically trained musician as far removed from pop or indie music as can be imagined with the second half cranking right up thanks to a Duane Eddy style driving it along at a frantic but magnificently controlled pace. I’ve gone for the Peel Session, while it loses the horns that appear on the albume vesrion, offers an energy and vibrancy that lifts it to a higher level. If this was a real album that was whizzing around the CD player then as the last notes of Her faded out I would be looking to lock myself into a world of my own where I would not want to be disturbed for the next six or so minutes. Jism is a song like no other in my entire collection in that I feel I always have to, and indeed want to, give it my 100% concentration while it is playing. On one occasion, it came up on random shuffle while I was waiting patiently on a train to take me to work but I was so transfixed that I looked around at its end and realised my fellow passengers had boarded and departed without me realising. I get completely lost in it every single time….the downside being however, that if it does pop up on shuffle and I have to concentrate on something else then I have to hit the fast forward button to the next song. Please don’t ask me to put into words why this is as I don’t have the vocabulary to do my feelings justice. The fact that the lyric comes from the viewpoint of a psychopath who isn’t the least bit concerned about using domestic violence only adds to the power and emotion of what I consider to be one of the most outstanding few minutes of music ever written. Now it’s time to take to the dancefloor and lose yourself in a different way. Yup, this lot have made records that you can shake your shoulders and all other parts of your anatomy to as can be testified by anyone who comes along to the Little League nights in Glasgow as our genial host John Hunt gives Bathtime a very welcome spin almost every time we gather. The original version was on the LP Curtains released in June 1997 but was given a slight remix for its release as a single a few weeks later. Indie dance music rarely sounds this classy. The country and western genre tends to specialise in the sort of duet where the man sings a few verses about the state of his mind and behaviours and then his woman responds with a ‘well that ain’t quite how I see it buster’. This fabulous little number, which was also released as a single, would fit that mould perfectly. Stuart Staples, while acknowledging he has some problems to overcome thinks he’s doing fine as he has an easy approach to life but his other half, in the shape of guest singer Carla Togerson from The Walkabouts patiently but wearily tells us that he is in fact a total fantasist and indeed by the end there is a realisation that she is about to walk out of his life forever. I often think that this is the revenge song from the woman who was on the end of the treatment dished out in Jism…. ……while this is the sad sounding song that brings it home to the psychopath that he’s on his own. A short, bouncy little number which I assume is written in the key of F-Sharp Minor. Its insertion here is deliberately designed to turn the mood a bit more jovial as we reach the midpoint of the CD…..but don’t worry as normal service will quickly be resumed. As I’ve often said, you never forget your first time and Marbles was my introduction to the band. I had been reading a lot about them in the press in 1993 especially when they featured in a lot of end of year polls. If I had been in the habit of listening to Mark Radcliffe or John Peel on Radio 1 then I’d have got to hear their music but this was an era when I was travelling a lot to back and forth between Edinburgh, keeping my sanity with compilation tapes, and thus not really having the inclination to listen to music at nights after I got home. In early 94 I bought a newly released CD entitled NME Singles of the Week 1993 which compiled 18 of the song that had been given that accolade by the paper in that calendar year. I knew and liked about half of the tracks beforehand and quickly fell for the charms of many of the others….but in particular track 6 which was this very strange yet intriguing sounding song. I spent months trying to decipher the half-sung, half-spoken lyrics but failed miserably thanks to getting immersed in the haunting music and eventually gave up. I was now hooked, and in the coming years would try to gather every available recording and see the band anytime they came to Glasgow or Edinburgh. The best covers tend to be those where a band take a song and make it sound like one of their own. The only way I could tell that Kathleen wasn’t one of their own was the fact that the writing credit was to someone who wasn’t in the band, but I’ll be honest and say that at the time I had no idea who Townes van Zandt was or the fact that his own original recording of the song was wonderful to listen to. But the Tindersticks version is majestic in all ways and gives an indication as to why so many film directors in the 90s were keen to have them write and perform soundtracks. Once again it’s time to get yourself on the dancefloor and shake your stuff. This was initially released as a single in September 1993 just a couple of months prior to the debut double album. The single use of the f-word towards the end of the song would have stopped it getting any airplay, but then again I’m sure producers would also have been scared to suggest to their presenters that they play a 45 which tells the tale of a man masturbating to block out the memory of a failed relationship. The band’s unwillingness to compromise can be seen from the fact that they never recorded it for a Peel or Radcliffe session at the BBC as the rules of the day would have meant either a bleep-out or a word change. The title can mislead you into thinking this will be a downbeat and gloomy number when in fact it is one of the jauntiest and uplifting tunes the band have put down with a fabulous strings thrown in for your aural pleasure. It’s inclusion at this juncture in the compilation is to set-up the final wonderful 1-2 combination…………………. In March 1993, the band had released a limited edition 7” single which featured Niki Sin from Huggy Bear on joint vocals. It told the tale of a doomed love affair between a singer and an actress. He (the singer) believes the attraction was all down to the emotion and power of his voice and can’t understand what has gone while she (the actress) thinks it hilarious that he fell for her when all the while she was just again performing a role. It’s a more than decent song but the re-make in 1997 complete with full orchestral input and a vocal contribution from Isabella Rosellini is the definitive version as her fragile and edgy delivery really bringing home the point that our singer is just a stupid romantic fool. I wrote in some depth about Raindrops in November 2014 saying that it was a contender for the saddest song ever written. It’s a heart breaking and emotional extension of a subject matter covered many a time in song – your baby doesn’t love you any more, it’s over. The original version was on the debut LP but this version came from an amazing gig at the end of a short but incredibly ambitious European tour in 2001 involving 19 dates playing each concert with a local string orchestra, meeting on the day, rehearsing in the afternoon and performing with them in the evening. 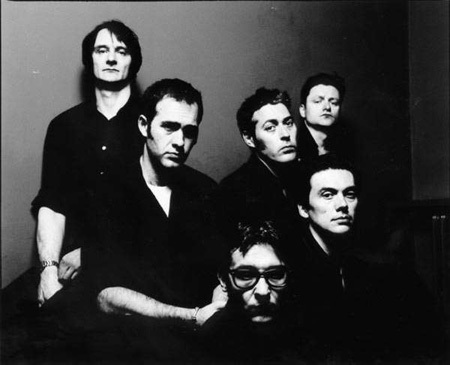 After 10 dates, the band found themselves in Berlin without a drummer who had needed to return to the UK having fallen seriously ill. And while there wasn’t ever a question of replacing him, Tindersticks took the brave decision to continue the tour, rebuilding the set and sound as they went along. They admit that the Berlin concert was fraught and difficult – but by the time they got to the final night of the tour in Lisbon on 31st October, they knew they had gained something new and that some of the songs with the new arrangements could never be bettered. mp3 : Tindersticks – (Tonight) Are You Trying To Fall In Love Again? Please remember that I’m not claiming these are the best 15 songs written and recorded in that initial six-year period but instead it represents what I think makes a more than decent compilation CD that will never have you reaching for the fast forward button. Fantastic JC!!! I will argue that Tinderstick Mk III is a wonderful band making amazing music, but I understand and agree with your distinction of their 3 very obvious period. Stuart Staples is a musical/artistic genius in my mind and I’ll follow his musical path, hopefully, for years to come. Great choices JC. Brilliant idea to have a volume one concentrating on the early years around the first three albums. A band I have probably seen more than any other, including the Royal Albert Hall at the start of the 2001 tour you mention in your Raindrops notes. I might have included My Sister, a story I still love to listen to. For personal memories The Not Knowing would have to be the compilation closing song, still gets me every time! I introduced the college age kids that worked for me to the Tindersticks via a similar cd. One in particular liked my cd and said it was her soundtrack to ending a night out.